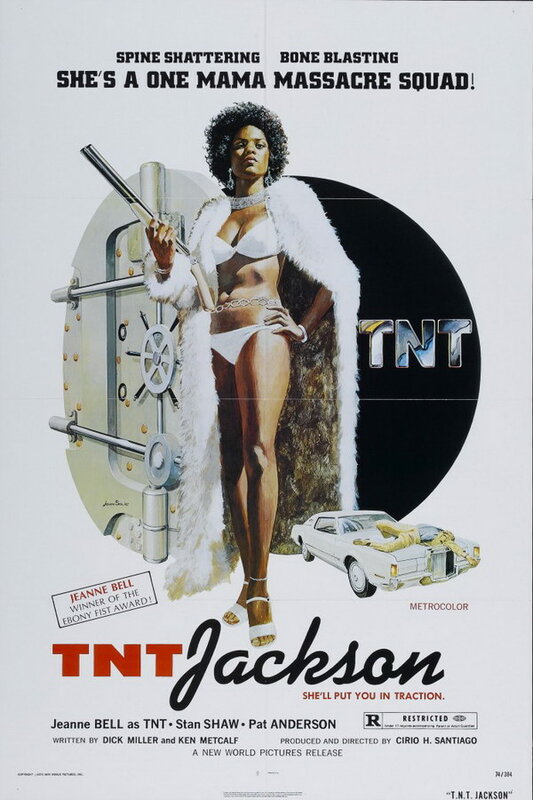 TNT Jackson font here refers to the font used in the poster of TNT Jackson, which is a 1974 American movie directed by Cirio H. Santiago. The font used for “TNT” is Univers ExP ExtraBlack designed by Adrian Frutiger and the font used for “Jackson” is Kaufmann Bold designed by Max R. Kaufmann. Both are available as commercial fonts and details about them can be found here and here respectively.